This Item contains 2 Lobster Tails. 2 count 5 to 6 oz. 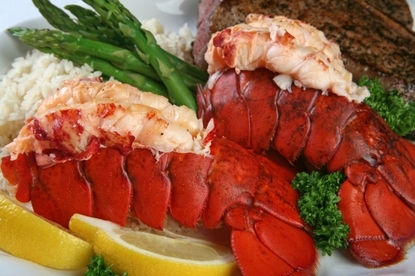 Maine Lobster Tails Are An Outstanding Gift Choice And A Great Gift Idea! Holidays, Anniversaries, Birthdays, or just a Great Thank You! Order Maine Lobster tails By 10am EST, And Enjoy Them For Dinner Tomorrow! Lobster Tails Also Make A Great Gift Idea For Your Favorite Seafood Lover! How Easy Is That! You can easily place your order online or by calling us toll free at 866-788-0004 866-788-0004 . We ship Monday thru Thursday for delivery on Tuesday thru Friday (NO Sunday or Monday delivery). We ordered these tails with the beef, it was all great! We ordered lobster tails and the Clam Chowder! Both were excellent! We will be ordering again! We received the Lobster Tails from our daughter as a birthday gift for my wife. We loved everything from the packaging to the lobster. Great company!